Fast Freight is pleased to be able to provide you with an accurate and timely rate for the shipping of your goods. FFI was established at the beginning of 2005, and managed by its owners who have more than 25-year experience in Freight Forwarding industry. FFI is a fast growing freight forwarder company that aims to successfully create innovative and efficient logistics solutions, and so we earned our distinguished reputation which is synonymous with quality and efficiency. To achieve world -class international standards, FFI was approved as a member of the most known and respectful freight forwarder associations, that is, EIFFA, EIFFLA, FIATA, IATA, ECAA and AFFFAL. In 2009, FFI was granted ISO 9001:2009 Certificate by TUV Center. FFI provides regular shipping services of Full Container Load, Less than Container load, and special equipment from and to all Egyptian ports. FFI handles booking for all kinds of air shipments. Our distinguished reputation enables us to get the most competitive rates. FFI provides inland trucking services from/to all of Egyptian ports & airports, offering competitive rates, fast and high-caliber services. Fast Freight International provides time-definite customs clearance services for all kinds of import and export shipments at all of the Egyptian ports in. Fast Freight international integrates storage and warehousing services to create innovative and customized warehousing solutions. Fast Freight International provides all types of packing (e.g. palatalization, cartons, wooden boxes, and crates), in compliance with the client’s needs and safety rules. Fast Freight international provides one more unique service which is Cargo Inspection for exporters, importers, or cargo agents. In this service, a detailed analysis is done to products before being shipped and upon arrival to the final client. Fast Freight International was at the forefront of the freight forwarding companies that provided outsourcing service. In FFI, we delegate one of our experienced employees to work directly at the customer’s company, handling any freight forwarding issues. Fast Freight International takes full responsibility of all operations of goods shipping, including loading containers, moving to the port of loading, and delivery to the final destination as assigned by shipper. Fast Freight International offers stuffing services for all types of cargoes. We adopt a systematic approach in all stuffing services to reduce the risk of goods damage and improve delivery time. Fast Freight Network provides insurance and follow-up services for any filled claim. Fast Freight international provides logistics requirement and Customer Care services. Due to the good relationships of Fast Freight International with so many manufactures in Egypt, we decided to establish a Trading Department, which can effectively serve any importer from any country in case of requiring any product(s) from Egypt. I have been dealing with Fast Freight since the first day they opened. As an exporter, there is none other in Egypt that compare – on rates or on customer service. The staff are always eager to help out – day or night. I look forward to a continued long term relationship with them. Fast Freight offers exceptional customer service & competitive prices. We would highly recommend them to anyone! 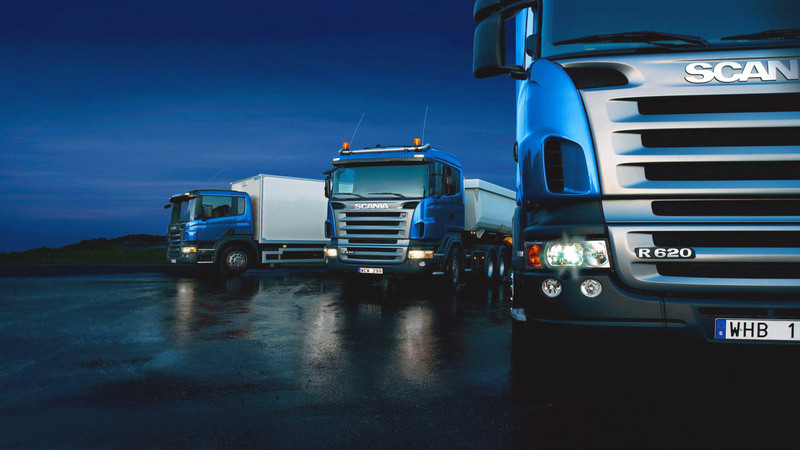 Working with Fast Freight for over three years, we have established a high degree of trust in them. We highly regard your company’s skill and knowledge of freight issues, and feel your dedication to our client’s best interest makes us look good. We have been more than satisfied with the service and quality received from your firm throughout our history with you. I would recommend Fast Freight to anyone, but especially those who have been in the industry a while and know how difficult international shipping can be. I consider the relationship we have with them to be a great asset to handle our most demanding loads. Fast Freight is more than a transportation company, they are a professional family. Not only have they raised service standards, but they have improved load planning given their educated employees and knowledge of the industry. We have found that Fast Freight not only deliver our products on time and safely, but do it at an affordable rate. I have compared FFI’s costs to that of many leading freight companies and forwarders, and they have met or beaten the prices. FFI is one of the most reliable providers of the highest quality transportation and logistics services in Egypt. We provide our clients with an extensive range of logistics and transportation services through our specialized team. Copyright © 2018 Fast Freight International. All rights reserved.